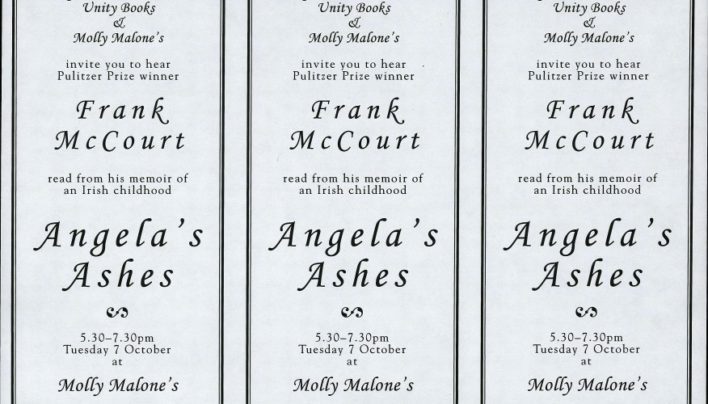 Invitations for an event with Frank McCourt, author of Angela’s Ashes (HarperCollins), at Molly Malone’s. 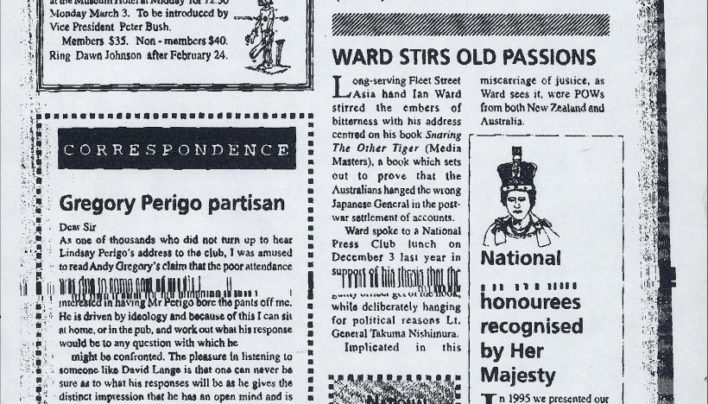 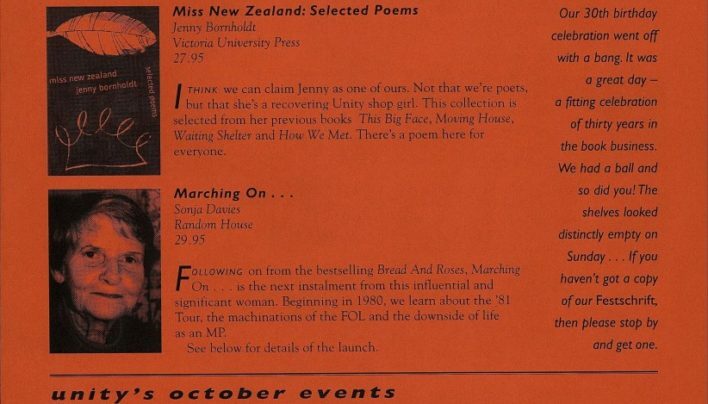 Our newsletter from October 1997. 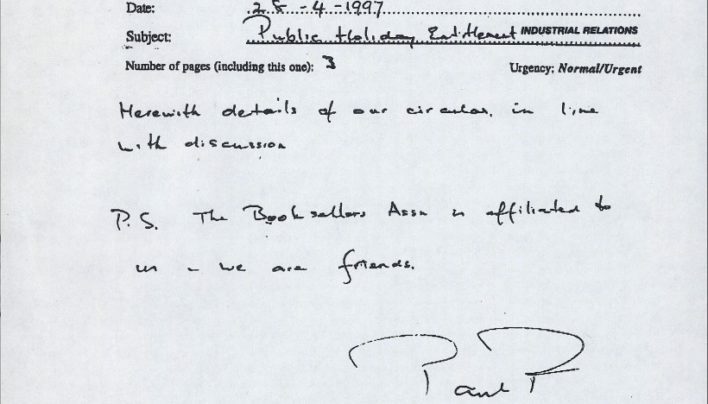 I don’t know if this fax received a chilly reception, but perhaps it deserved one. 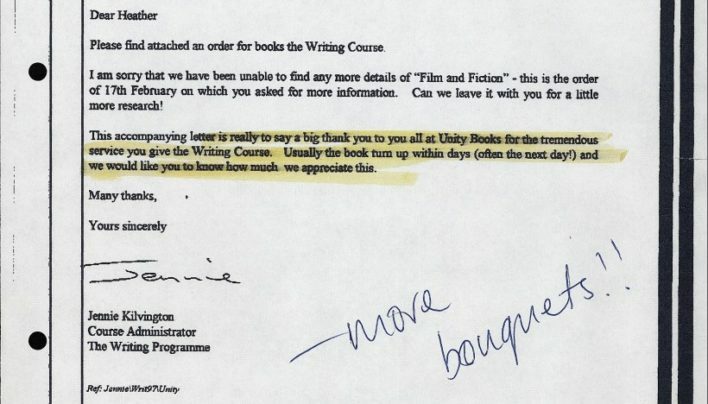 A letter of appreciation from Jennie Kilvington, administrator for the Writing Programme at Whitireia Community Polytechnic. 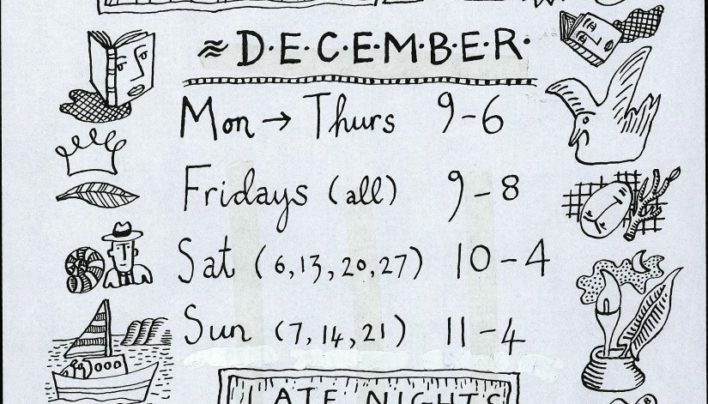 A Gregory O’Brien-embellished notice about our opening hours leading up to Christmas 1997. 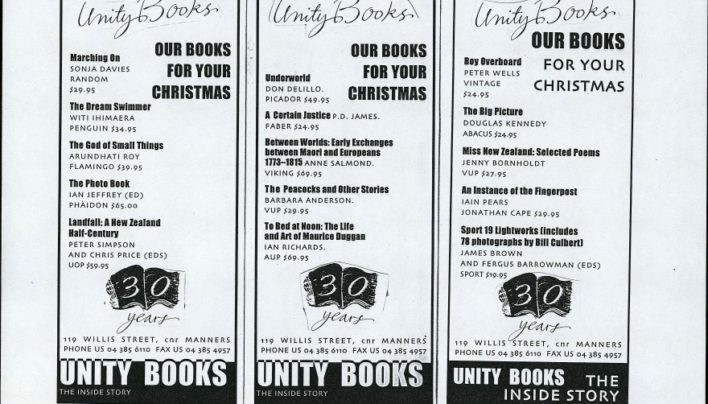 Three mock-ups of slightly different versions of our Christmas advertisement from 1997, featuring our favourite new and not-so-new releases. 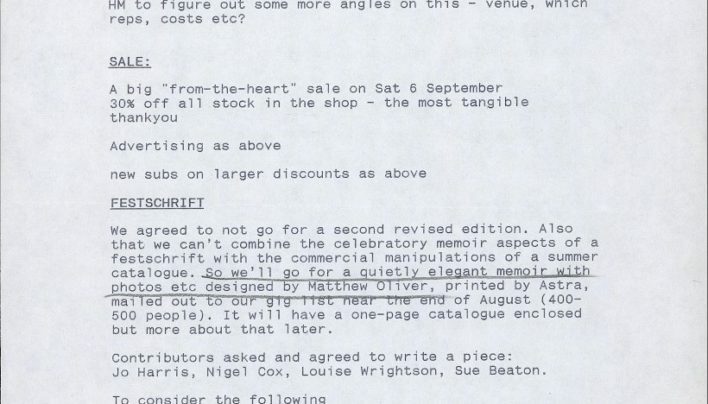 A letter from Tilly Lloyd to local libraries outlining our services.